Hello Hello! How was your weekend? We had the prettiest weather here in Houston! Saturday felt like Spring, so I joined a couple friends for an afternoon outdoors at a local brewery. It was packed, so it looked like everyone was taking advantage of the beautiful weather along with us. This week we are back to our colder temps. I find one of the hardest things to dress for in winter is date nights. You want to look cute, but you also want to be warm. I tend to lean towards fitted, long sleeve, and boots. This winter date night outfit features one of my favorite fitted dresses. I own this dress in sleeveless and wear it so much during the spring and summer. 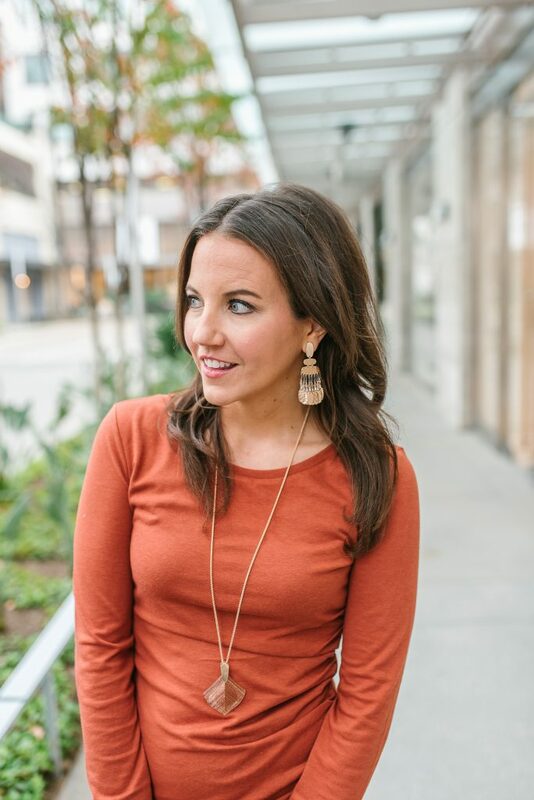 The long sleeve version is perfect for dressing up or down, especially in the earth tone colors. For a date night look, I added in my taupe suede boots for added warmth. You could also do heels too. I love the addition of rose gold jewelry with this burnt orange color. I think the two colors compliment each other really well. On a cooler night, I would also add some sort of coat or jacket. A brown fitted leather jacket, ivory wool coat, or cute trench would work perfectly with this outfit. In Texas, bars and restaurants tend to be a little warmer inside to compensate for the cold outdoors. I take this into consideration when getting dressed, and usually don’t wear super thick sweaters. Instead opting for a fitted leather jacket that I can keep on or take off depending on the temp. I hope these tips help when planning your next date night or even a girls dinner out. I wish you all a fabulous week ahead! What a gorgeous colors and what a fantastic dress! Love the hole look! 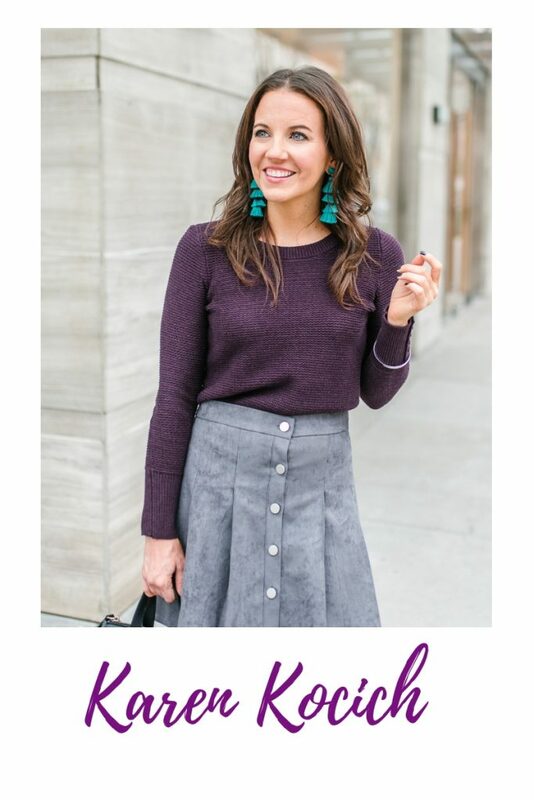 Hope to see you on my Fancy Friday linkup party! Love your dress. the boots are beautiful too. Its so hard dressing for date night during the winter. But this color combo is right up my alley. You look amazing! Love your outfit! The orange dress looks amazing on you and the tan boots are a great match. Thanks for inspiring me on my next date night! I love your dress. 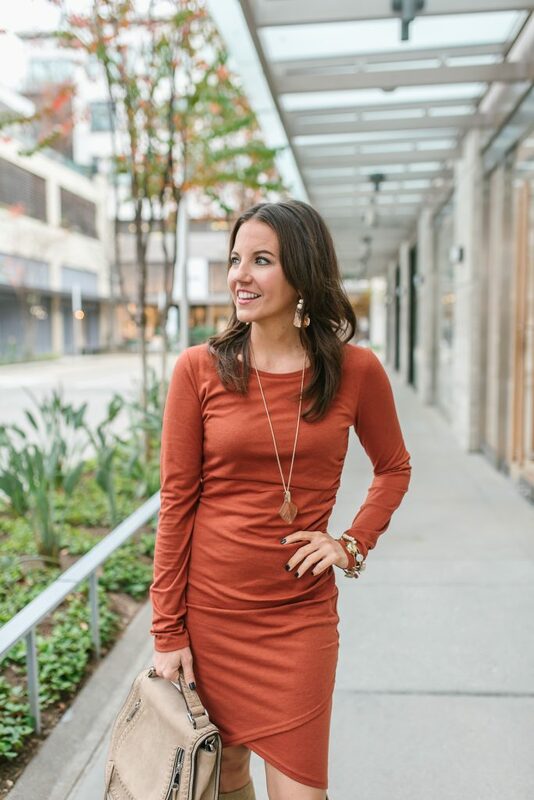 This is a perfect cooler weather date night dress with stylish heels. I save your cute boots with either black or white jeans. I take 50f in Houston compared to 20f in NYC. Since New Years it’s been ugly dark jacket, jeans and sneakers. Warmer weather equals better fashion. I love these boots for date night. So cute! This is such a beautiful combo! I love the color of your dress! Perfect date night look! Love that look for a date night. So easy to dress up or down.